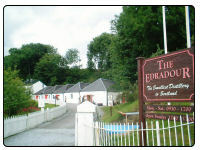 If you are wanting to know more regarding this distillery please go to the Scottish distillery section on the website where you can read about the Edradour Distillery and see all their contact details. If you are willing to make Pitlochry your whisky trail base then you could not go far wrong as within an hour drive of Pitlochry you could visit the oldest, smallest and highest whisky distillery in Scotland and slightly further afield there are another 4 distilleries at your disposal. Atholl Place Hotel and Spa in Pitlochry is a stunning hotel in The Scottish Highlands situated near the River Tummel. The hotel is an ideal location to visit Blair Athol Distillery and tour the surrounding countryside. There is so much to do in this historic town and spending a few nights at this hotel would be a great ideal and you stay at this hotel would be a highlight of your time in Pitlochry. The bedrooms within Atholl Palace are furnished to the highest standard with the facilities you would expect in a hotel of such quality. The restaurant and bar area are lovely with a very fine selection of single malts available on request. There are main different types of rooms available and best looking at their website for more details. This is listed below. They have an in house gym and spa which is ideal after a busy day discovering the local area. If you are needed special requirement for your stay at this hotel, the hotel staff are very helpful and always will to make your stay a special one. Contact details for this hotel are Atholl Palace Hotel, Pitlochry, Perthshire, PH16 5LY and if you would like to call them for more details their number +44 (0)1796 472400. If you would like to email Atholl Palace Hotel directly the best email to use is info@athollpalace.com. You can also go to their website where you will always find special offers depending on the time of year and tariffs for the rooms. So please visit www.athollpalace.com for more details. Birchwood Hotel in Pitlochry is run by Viv and John Holmyard who are very experienced in the hotel trade. They treat all their guest like friends as it is important to them that your stay with them is one that you will always remember and also pass of your comments to other people who could in the future stay at the Birchwood Hotel. The hotel is enclosed by the large garden and woodland covering 2 acres, but is only a few minutes from the centre of Pitlochry. With this hotel lying in the heart of Perthshire you will have access to all the local delights that are on offer and also a visit to the Blair Atholl distillery is a must. The hotel itself was built in 1875 and is a lovely Victorian country house. They have a fine restaurant and dinning area which has been improved greatly over the years. Acarsaid Hotel and Lodge is again set in Pitlochry and is a lovely place to spend a few days relaxing. There is a total of 29 rooms in this hotel all different from each other. Some do have en-suite facilities either a bath or shower, but you are better to ask what you prefer as the hotel staff are always willing to help. The Acarsaid also have single rooms available for the whisky traveller who likes to explorer alone. The hotel has an excellent restaurant and you will not be disappointed with the food that is on offer. There is so much to do locally and the countryside in this part of Scotland is just amazing.